Alabama Public School Principals email list is a database comprised of all the elementary, middle and high schools in the state of Alabama. What is included in the AL Principals Email Database? 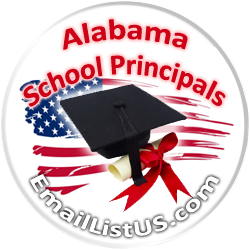 Alabama Principals list contain all the crucial contact information for all the school principals in the state of Alabama. It includes the principal's full name, principal's direct email address, school name, address, zip code, phone and fax (if available). Alabama's database is regularly updated and contains all the newest information of the principals in all the schools in Alabama that will enable you to establish direct contact with each of the principals.